I've got a yummy purple to share with you today! 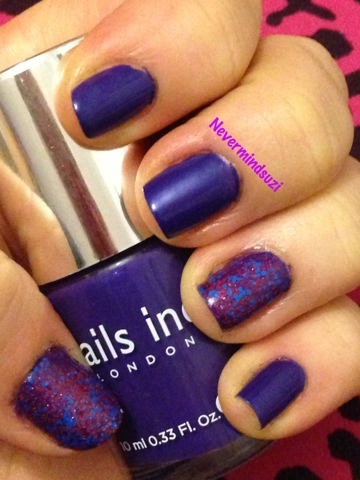 Lowndes Court is from the recent Nails Inc TSV on QVC, whilst I didn't indulge in the full set I did split it with a friend. This polish is a nightmare to photograph, it looks like it's got a rubber finish above and a neon finish below. In reality it was a creme with a metallic finish. I also used the lovely new polish I got from F4 polishes. 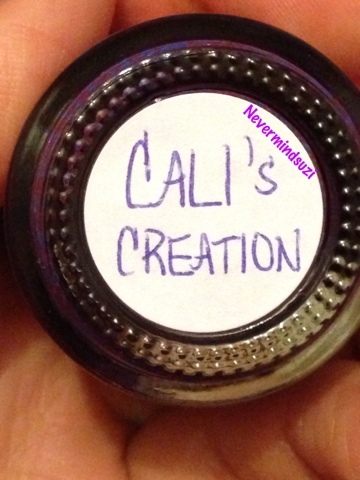 Cali's Creation is a clear jelly with fairly dense magenta glitter plus matte blue glitters popping throughout. With the flash on however it killed my camera but believe me when I say that it's stunning!